As a parent, you can help make your child’s first visit to the dentist positive and enjoyable. Be sure to inform your child of the visit and its purpose, but take care in how you present it. 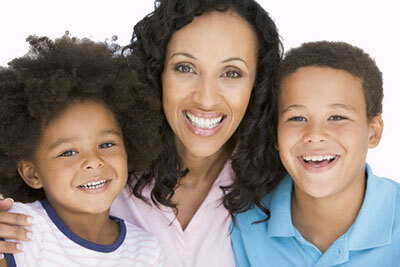 You may want to show your child photos of the dentist and other happy children on our website. Please avoid using words that cause fear such as “needle”, “shot”, “pinch”, or “drill”, as they suggest an unpleasant experience. Most importantly, please do not tell your child that the dentist will not “hurt”. Since children are extremely intuitive creatures, it may never have even occurred to them, but simply hearing the word could develop a new fear that didn’t initially exist. You may want to consider picking up one of the many wonderful children’s books dedicated to the topic of teeth and dentists. We are happy to offer suggestions. Keep in mind that pediatric dentists are specially trained to handle fears and anxiety, conveying the information in a non-threatening way, while our entire staff is experienced at putting children at ease and will always do their best to keep your child calm and comfortable.